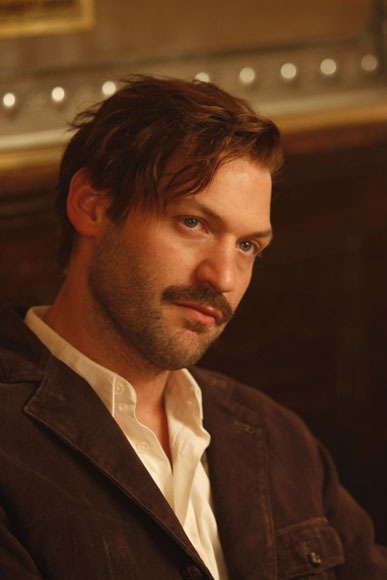 Corey Stoll is one of those actors that you’ve seen but might not recognize. He’s been in a handful of cop shows, most recently he played Detective Thomas "TJ" Jaruszalski on Law and Order: Los Angeles until that show was cancelled. He was in an episode of The Unusuals, which was a great show in my opinion, but it too was eventually pulled. Lately, he’s gained accolades for his turn as Ernest Hemingway in Woody Allen’s fantasy Midnight in Paris starring Owen Wilson. It’s a truly fantastic tale where larger-than-life characters from the Lost Generation of Paris in the 1920s (Hemingway, Fitzgerald, Picasso, Gertrude Stein) are visited by Wilson’s character who gets lost one night while walking through Paris…you guessed it, at midnight. Chris Bowman: What were your thoughts on Ernest Hemingway as a person before playing him in the film? Move These to the Top of Your Queue: "Bananas" and "Casino Royale"
Not sure how we overlooked these earlier in the week, but there are two more comedy classics that will soon be expiring from Netflix Instant. If you've never seen Woody Allen's earliest (and silliest) films, you're truly missing out. In Bananas, Allen's character, Feilding Mellish, goes to a fictional Latin American country and joins its rebel movement - eventually rising to the office of President - all in order to impress his desired love object (Louise Lasser) with his "leadership qualities." A classic goofball farce, this star-studded spy spoof is the only movie that sports David Niven (and many others!) in the role of James Bond. It also features the talents of Peter Sellers, Orson Welles, Woody Allen, Deborah Kerr and William Holden. Kinda makes you look at "Austin Powers" in a whole new light, eh?